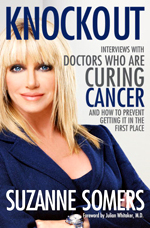 (NaturalNews) As the author of the New York Times bestseller, "Knockout: Interviews with doctors who are curing cancer," Suzanne Somers is making waves across the cancer industry. Her powerful, inspired message of informed hope is reaching millions of readers who are learning about the many safe, effective options for treating cancer that exist outside the realm of the conventional cancer industry (chemotherapy, surgery and radiation). Recently, Suzanne Somers spoke with NaturalNews editor Mike Adams, the Health Ranger, to share the inspiration for her new book Knockout. "People are just starving for some new information... for other options, for hope in [treating] cancer," she explained. "In 2010, cancer will be the biggest killer in the world. 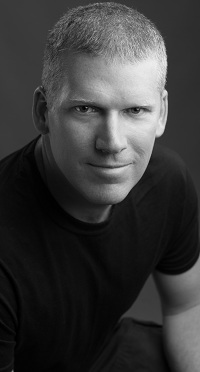 I fear for everybody walking into the present cancer protocol. It's going to make billions and billions of dollars for the industry, which is already a $200 billion-a-year business. It's going to bankrupt families. It causes expensive deaths. It emaciates people and they die anyway. Why not look into the options that are offered in Knockout? Why not look into Dr. Burzynski out of Houston? Why not look into Dr. Gonzalez in New York or Dr. Forsythe out of Nevada? [They] have a different protocol that doesn't require harsh chemicals or degrading the body." "There are only three kinds of cancer that respond to chemotherapy: Testicular cancer, childhood leukemia, some lymphomas including Non-Hodgkin's," she says. "For all of us who have raised money marching, going to black-tie fundraisers, we've thrown billions and billions of dollars at pharmaceutical companies and the FDA to find a cure, and it has failed. They do not have a cure." "I have information so shocking in Knockout about mammograms that I have been reluctant on television to even bring it up, because to say anything negative about mammograms is going against the gold standard. So I was thrilled when I saw this report yesterday. Nobody's saying the real truth [about the harm caused by mammograms]. They don't want to open Pandora's Box ...you mean a lot of the women who faithfully had mammograms got their cancer from mammograms?" Suzanne Somers' book presents a collection of interviews from leading doctors who have developed and now apply natural cancer therapies to patients, producing outstanding results. To gather information for her book, Somers explains, "I called doctors, I interviewed their patients, I talked to hundreds of people, I interviewed science writers, PhDs, neuroscientists, nutritionists... even the scientific advisory board of Life Extension." And rather than preaching to people about what they should or shouldn't do, Somers' book simply provides new information and new options to men and women who want to know more before making a potentially deadly decision about chemotherapy. "You've got to get smart and connect the dots and ask yourself, with all the money going into [conventional] cancer, do they have an answer? The answer is no. We're on our own, so let's look at these independent doctors who are having success," Somers says. The information presented in Somers' book, not surprisingly, has raised the ire of the conventional cancer industry and all their powerful allies (including more than a few organizations in the mainstream media). That's why Somers' message has been viciously attacked by conventional cancer and chemotherapy pushers who see the information presented in Knockout as a threat to their authority (and repeat business). "My message interferes with Big Business's bottom line," explains Somers. "But until what Big Business is doing is good for us, and for the betterment of our health and mankind, then I think people have to speak out about it." "The war on cancer is a dismal failure," says Somers. "If this were a military project, the people in charge would be fired. It's not working." But there are real solutions for cancer, and there are doctors delivering "alternative" cancer treatments right now that are producing astonishing results (putting conventional chemotherapy to shame). Suzanne's book lists a wealth of resources where you can find more information about natural cancer treatments and the clinics that offer them. Chemotherapy is extremely toxic to the human body. It causes permanent damage to the brain, heart and kidneys. Mammograms harm ten times as many women as they help. Don't your loved ones deserve to know about the options available right now that can treat and reverse cancer without destroying their health? That's what you'll learn in this interview and in Suzanne Somers' "Knockout" book. Inform yourself, and help empower others with knowledge -- the kind of knowledge the cancer industry would prefer people never had access to.